Shop Small: Shop at EuroLux Antiques! Greg and I were thrilled to find out about the 2nd annual American Express Shop Small campaign! First there was Black Friday, and then Cyber Monday. Now there’s Small Business Saturday on November 26th! Do your part to help the economy by supporting small businesses! You’ll get a one-time $25 statement credit from American Express when you use your registered or linked American Express Card on Small Business Saturday to make a purchase of $25 or more at a small business – and EuroLux Antiques counts! 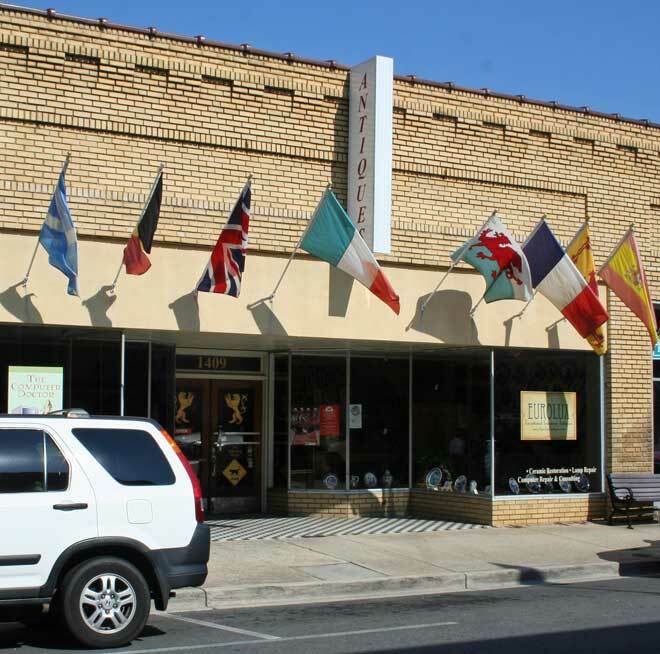 You’ll find EuroLux Antiques at 1409 Main Street in Newberry, South Carolina. We’re a small business with a big E-commerce presence. Shop with us on Small Business Saturday on November 26th and get 15% off your entire purchase – whether you shop locally with us in Newberry or online at www.EuroLuxAntiques.com! Just use the coupon code ShopSmall during check out on November 26th! Think globally, act locally, and SHOP SMALL on Small Business Saturday, November 26th! This entry was posted in News and tagged EuroLux Antiques, Shop Small, Small Business Saturday on November 5, 2011 by euroluxantiques.